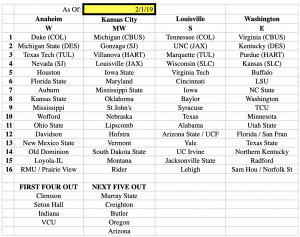 See below the updated seedings for our projections currently. We have a BIG Saturday where things could shift. Who’s ready for a great day of college basketball! !